Years ago I met an antler trader at the Jackson Hole Boy Scout Elk Antler Auction in the beautiful Grand Teton mountains of Wyoming. 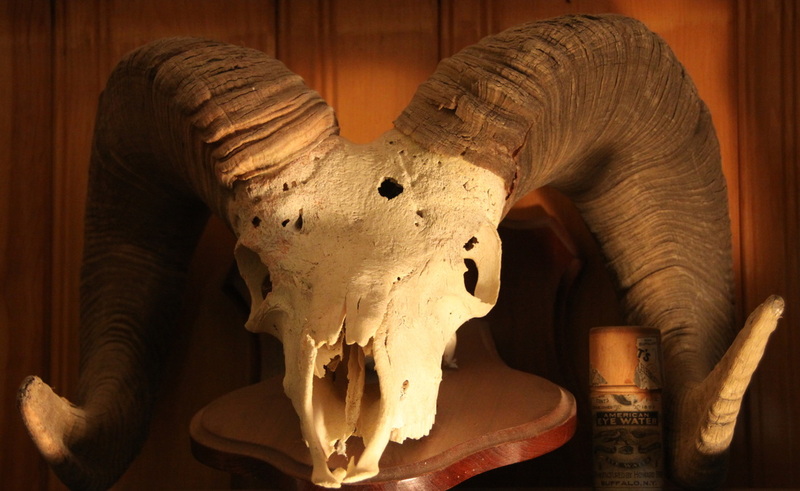 He told me of a Bighorn ram skull he found wedged in the rocks of a mountain top while on a mule deer hunting trip. 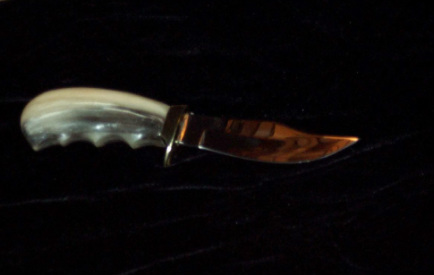 He had seen Damascus Viking, my first knife, and told me he would trade me the skull plus an additional ram horn if I would make him a knife. 'Bighorn Knife' and 'Emergence' were born.